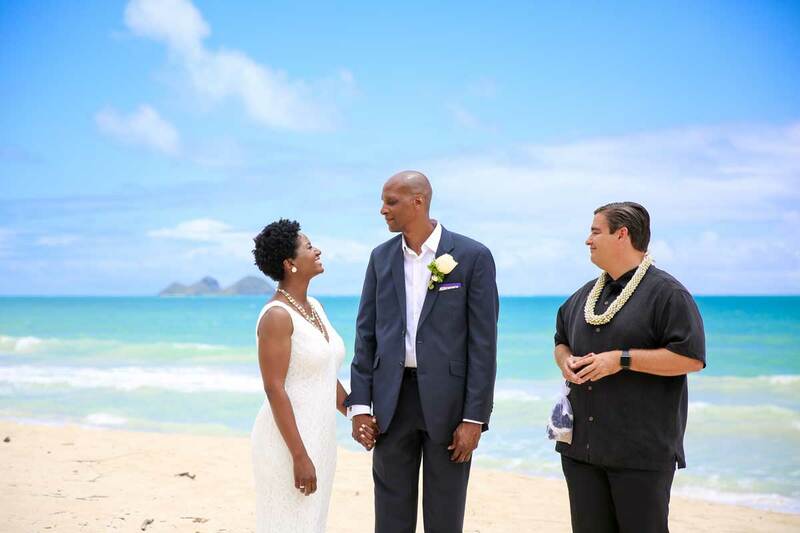 After answering our couple’s questions on getting married in Hawaii, one of the most common questions we get is about how to book travel. When’s a good time to visit? Where should we stay? Do we need a rental car? We’re always happy to chat with you and help you plan your travel, and we also wanted to provide some information to help get you started. A Serwood Forest Beach wedding in January. Peak season is over the Christmas/New Year’s holidays, spring break, Japanese Golden Week, and to a lesser extent, summer vacation. Low season is roughly from early spring through June and from September to the middle of December. Booking flights and accommodation around three months in advance, give or take, is usually safe. Check flights and hotels on travel sites, such as expedia.com, and then compare directly on the airline and hotel websites. For Oahu, you’ll fly into Honolulu International Airport (HNL). 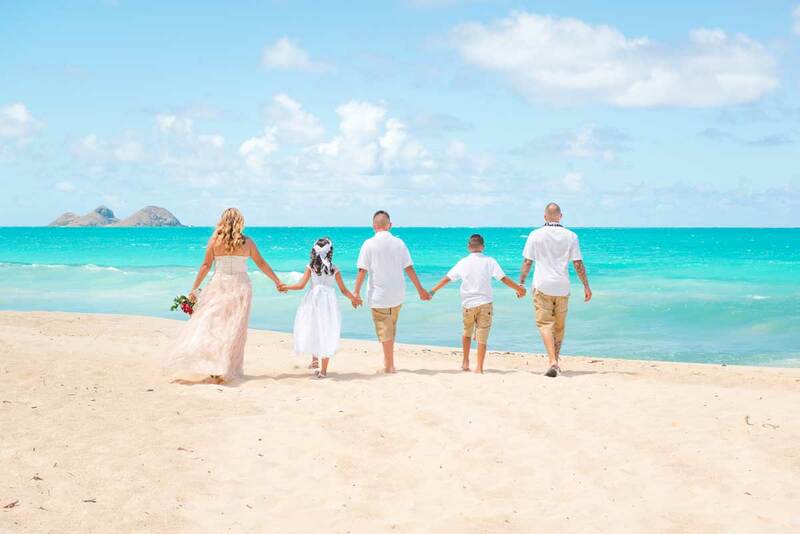 Ask us about our promotion code for great rates at the Outrigger Waikiki Beach Resort. Consider whether you should book a rental car or not. Ask us! If you have any questions or need some recommendations, we’re happy to help. A Sherwood Forest Beach wedding in May. We believe anytime is a good time to travel to Hawaii. As you can see from the photos in this post, our most popular wedding location, Sherwood Forest Beach, is beautiful year round. The same is true for all of Hawaii. 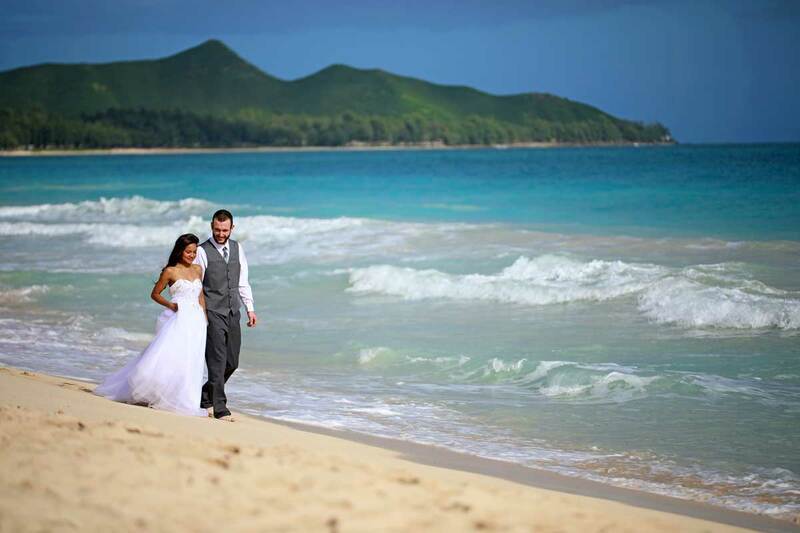 You can read more about the weather in another blog post: What Kind of Weather Should You Expect on Your Hawaii Wedding Day? For most of our couples, your schedule is more important than the season you choose to come. That said, there are certain times of the year to consider. The term “peak season” shouldn’t scare you away. Hawaii is well prepared for tourism, and you won’t have any trouble traveling during these times. Peak season starts around mid-December with the busiest time of the year running through the holidays. Occupancy rates stay high through the winter and into spring as Hawaii receives many travelers escaping the cold weather. There are two times to be aware of: the Christmas/New Year’s holidays and Golden Week (Japanese holiday usually between the end of April to the first week of May). If you’re traveling during one of these weeks, you’ll want to make sure you book in advance. Hawaii also sees a steady stream of visitors during the summer. With kids out of school, it’s a popular time for families to take vacations. Even if you’re booking last minute, you should be able to find flights and hotel rooms during peak times. Of course, planning early is best, but if your schedule only allows you to travel during these times, you’ll be fine. Low season is typically from the second week of May through June, and then from September until the second week of December. Again, peak season is not overly crowded in our opinion, but if you want to aim for better rates and fewer tourists, the low season might provide you with that. A Sherwood Forest Beach wedding in June. Booking too far in advance or last minute is usually more expensive than booking around three months in advance. We like to recommend searching expedia.com or another travel site as soon as you begin planning. You’ll get a good idea of rates and flights schedules. From the U.S. mainland, we see the best flights on Hawaiian Air, Delta, and United, depending on your departure airport. Alaska Airlines often offers cheaper rates, but usually worse schedules than the other airlines. 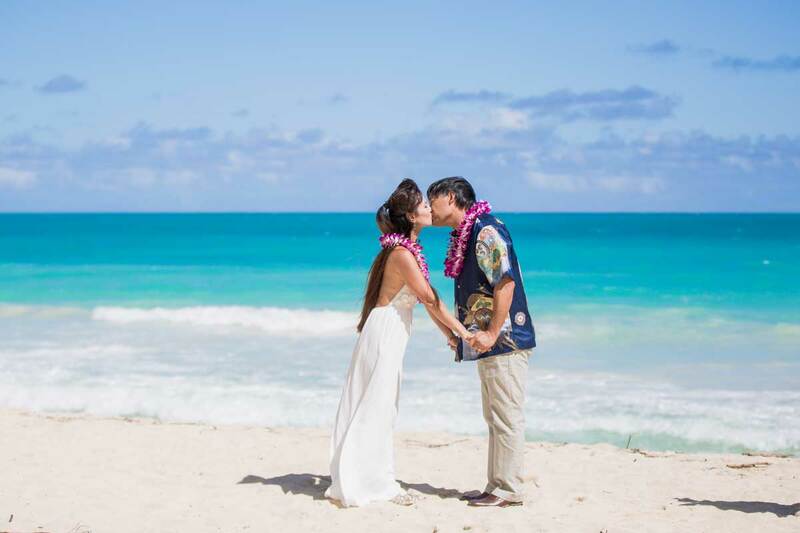 Most couples find an early morning departure, which allows you to arrive in Hawaii earlier in the day and then book a return flight in the evening to squeeze as much vacation time in as possible. Most visitors fly into Honolulu International Airport. The airport code is HNL. There is no shortage of hotels in Hawaii. If it’s your first time visiting the islands, all those options can be overwhelming. 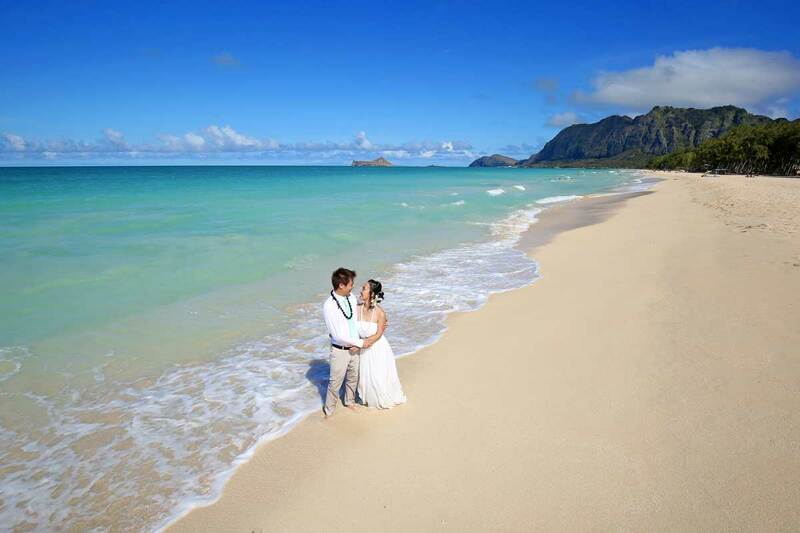 Most of our couples stay in Waikiki, and we have a few hotels we’ve been recommending for years. Our top recommendation is the Outrigger Waikiki Beach Resort. 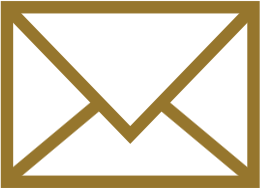 Not only is it home to our second office location, but we also have a partnership with them to offer our guests a promotional code to search for the best rates on their site. While both our office and the promotional code are new for us (January 2018), the Outrigger Waikiki Beach Resort is where a majority of our guests have stayed over the years, and we recommend the resort with confidence. A Sherwood Forest Beach wedding in August. If there’s room in your budget for a rental car, it will improve your experience in Hawaii, but it’s by no means a must. We have a blog post Getting Around Oahu that might help you decide. For guests staying at the Outrigger Waikiki Beach Resort, your daily amenities fee includes complimentary rides on their trolley, and you can get around Waikiki and the Honolulu area by taxi, Uber, and the bus. However, a rental car allows you more freedom to explore other parts of the island, like the North Shore, Pearl Harbor, luaus, and popular beaches. Hotels charge parking fees, but in some ways you will save money with a car. For example, the Arizona Memorial at Pearl Harbor is free, but without a car you’ll need to pay for transportation, which can add up. Same is true for many of the popular island tours and luaus. Also, you can pick up your car rental at the airport, saving you transportation fees to and from your hotel. These are some of the considerations you should think about if you’re on the fence. A Sherwood Forest Beach wedding in November. Visit Hawaii when it’s best for you, but be aware Christmas/New Year’s and Japanese Golden Week are busy times. If you have your ceremony reserved, next book your flight, then a hotel, and then decide if you need a rental car. Need help or have questions? We're here to help. Schedule a time for a phone consultation below or reach out to us anytime.